Three CCD HD Mini-Camera capable of operating at 1080i, 1080p & 720p as well as standard definition. Includes CCU, 2.8mm, 4mm, & 8mm lenses with a 3m cable and manual. Takes 240v mains via DC supply. SD-SDI/HD-SDI and DVI-I output with genlock input. Camera dimensions (excluding lens): 34 x 38 x 49 mm. 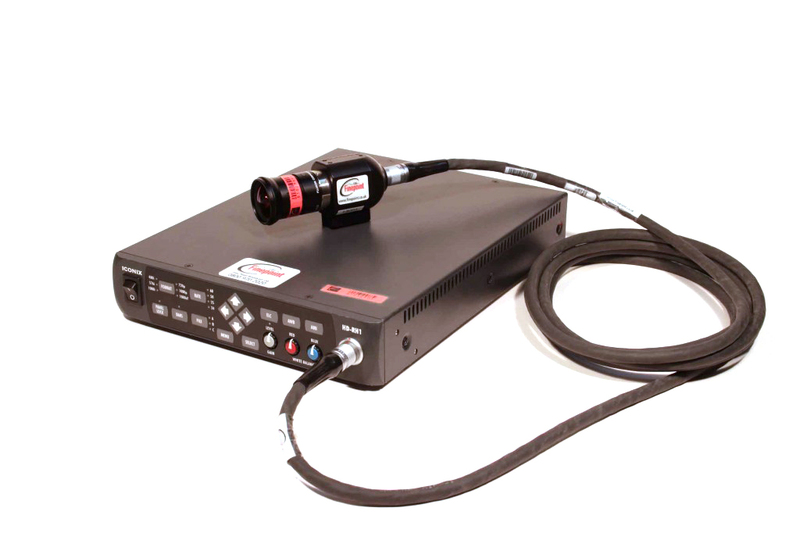 Thread plate attached, 3m camera cable, camera control unit, manual, 8mm lens, 4mm lens, 2.8mm lens, mains power supply and mains lead.